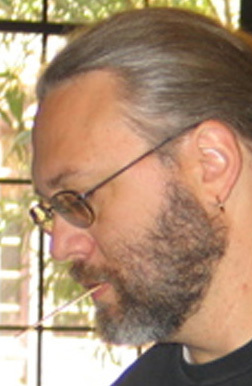 My adult writing career began in earnest in 2001 when a workshop with Orson Scott Card convinced me to give fiction another try. 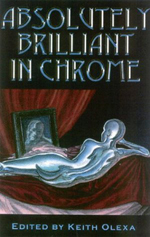 I won Phobos Awards in 2001 and 2003, and my short stories have been published in the print anthologies Empire of Dreams and Miracles, Absolutely Brilliant in Chrome, All the Rage This Year and Riffing on Strings. Beyond purchasing those anthologies online, you can download typeset, printer-optimized copies of my short fiction — professionally published and otherwise, sci-fi and literary — at the Xark Fiction Project. 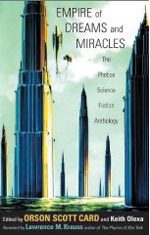 A rewrite of my first science fiction story won a spot in the original Phobos anthology Empire of Dreams and Miracles. The story, “Eula Makes Up Her Mind” was a take on how the implications of string theory and quantum mechanics elude our ability to construct meaningful language. So how would you use a language that assumes that events take place in the context of linear time to communicate with an intelligence for which time is essentially irrelevant? In this short, the answer is synestesia. 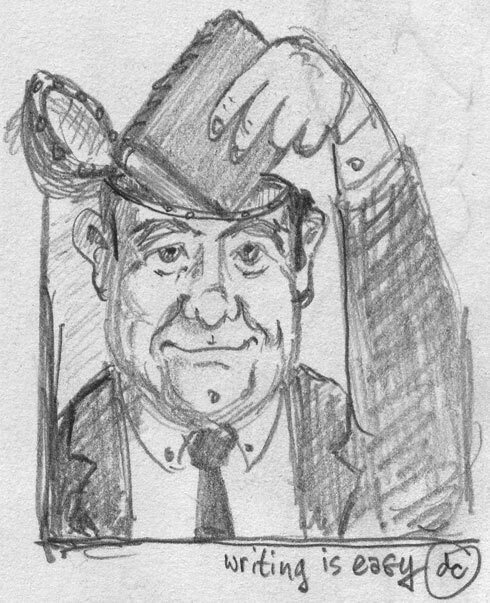 Though I didn’t win a Phobos Award in 2002, my George W. Bush satire “Guess Who’s Coming to Dinner?” was the editors’ favorite — and one of the reasons they decided to publish Absolutely Brilliant in Chrome, an anthology of stories by former Phobos winners. In addition to my piece about Dubya’s dealings with a couple of good-ole-boy aliens, this volume also includes “Perfect For Each Other,” my story about genetic enhancement that’s really just a tale about how a marriage breaks up. 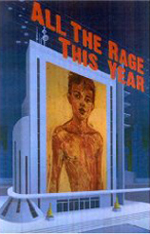 The final installment in the Phobos Fiction Anthology series (Phobos had been founded as an attempt at integrating serious book publishing with content creation in the film, cable TV and gaming industries, but retreated to a more traditional business model after All The Rage This Year … then quietly disappeared) includes my story “GoldenTown,” in which a computer security expert is hired to figure out what keeps causing dangerous bandwidth surges in a virtual reality retirement home constructed for the elderly. 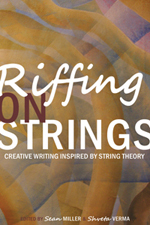 I’d put aside fiction writing when I heard from the editors of Riffing On Strings, an anthology of writing inspired by string theory, in the spring of 2008. They’d read “Eula Makes Up Her Mind” and wanted to know if I had anything else string-related. Sadly, they weren’t interested in “The Last Epiphany,” a more recent story I offered them, but were glad to take “Eula” after I verified that the rights had reverted to me. It’s nice to have an editor come to you, instead of vice-versa. In early 2009 I began typesetting some of my published and unpublished fiction, collecting the files on my blog as The Xark Fiction Project. This free collection has room to grow, but competing priorities have delayed me from putting out the rest of my unpublished catalog. Back to the Words topic page.